Tuesday – Friday 1.00 p.m. – 6.00 p.m; Saturday & Sunday 11.00 a.m. – 6.00 p.m. This exhibition is the result of a creative collaboration between Dr Alexandra König, director of the Museum of Ratingen, and Dr Hans Körner, Professor of the Institute of Art History at the Heinrich-Heine-University in Düsseldorf. 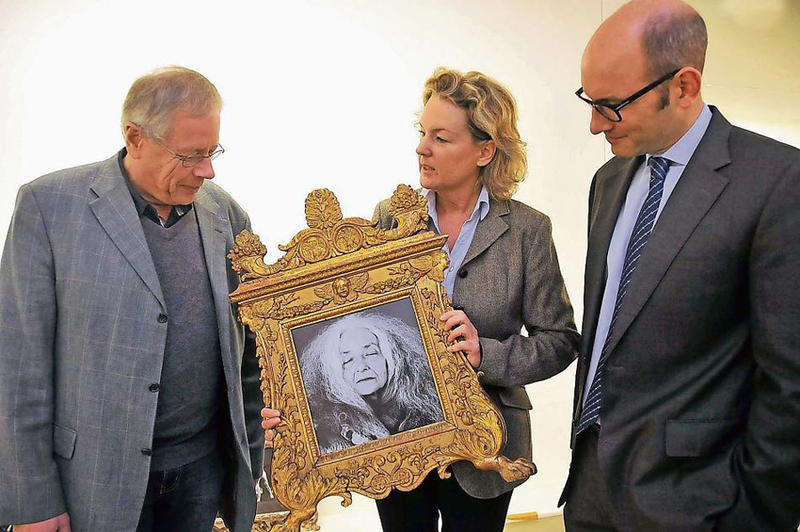 It was realized with the help of frame expert Herr Friedrich Conzen, who supplied the exhibition with antique frames from his family’s own collection. 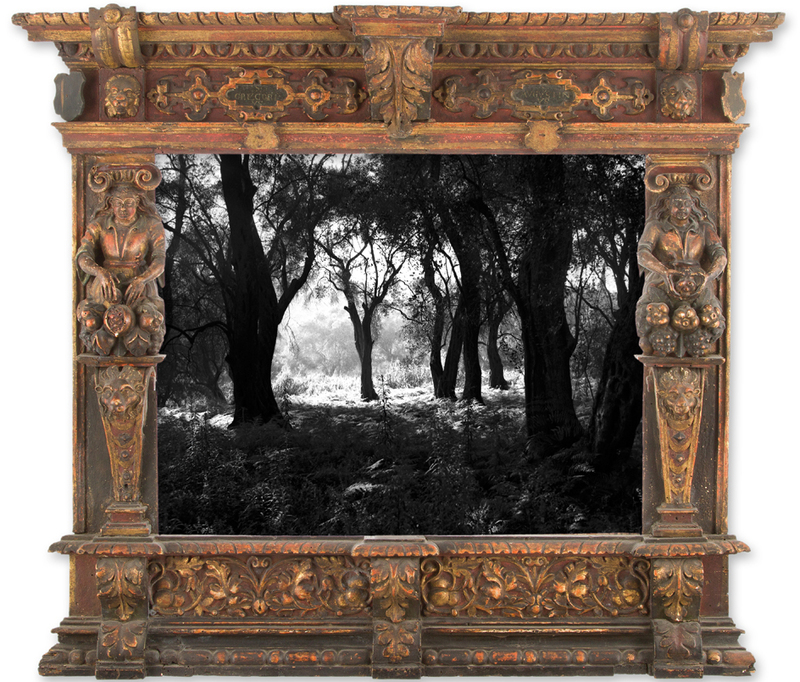 A frame does not only separate a piece of art from its surroundings, it establishes a relationship with the pictorial elements it contains. 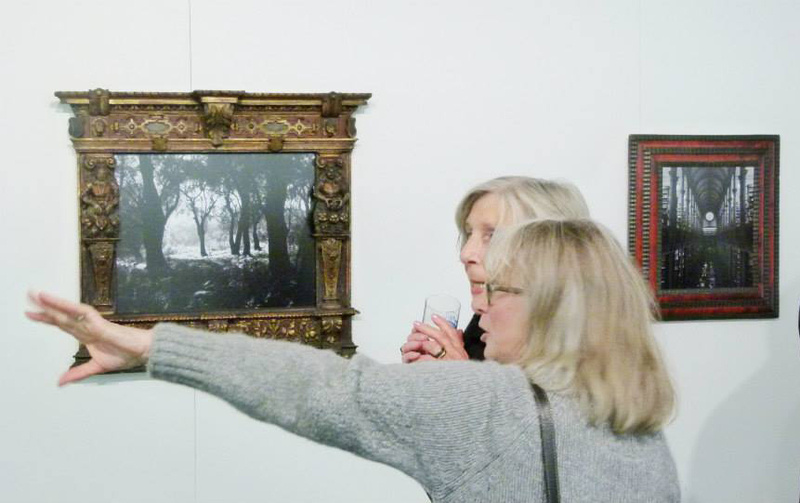 The main focus of the exhibition is upon the interaction of contemporary photography with the antique picture frame: an interaction which creates on both sides a mutual, attention-seeking confrontation. A unique characteristic of the collaborative effort involved in this exhibition is its dependence on different institutions with diverse theoretical and practical approaches. 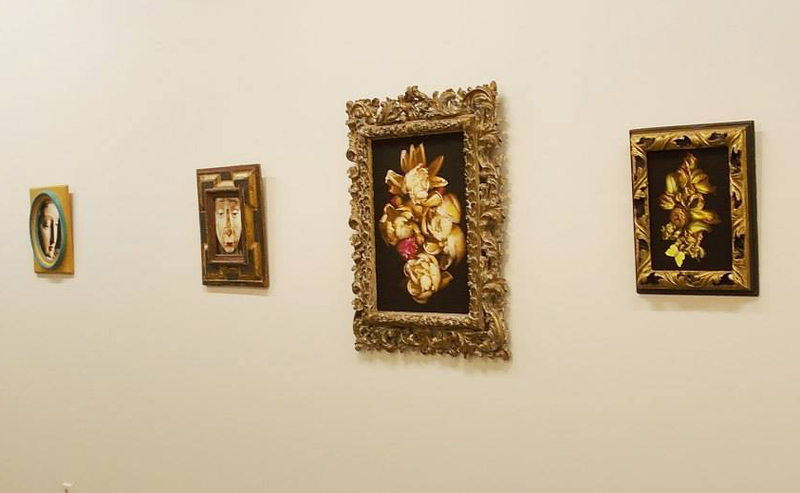 It includes 59 photographs by six major artists, each of whom faced the challenge of having his or her work installed in antique frames from the Conzen collection. The relationship arising from this partnership changes irrevocably the way in which the artwork is perceived. 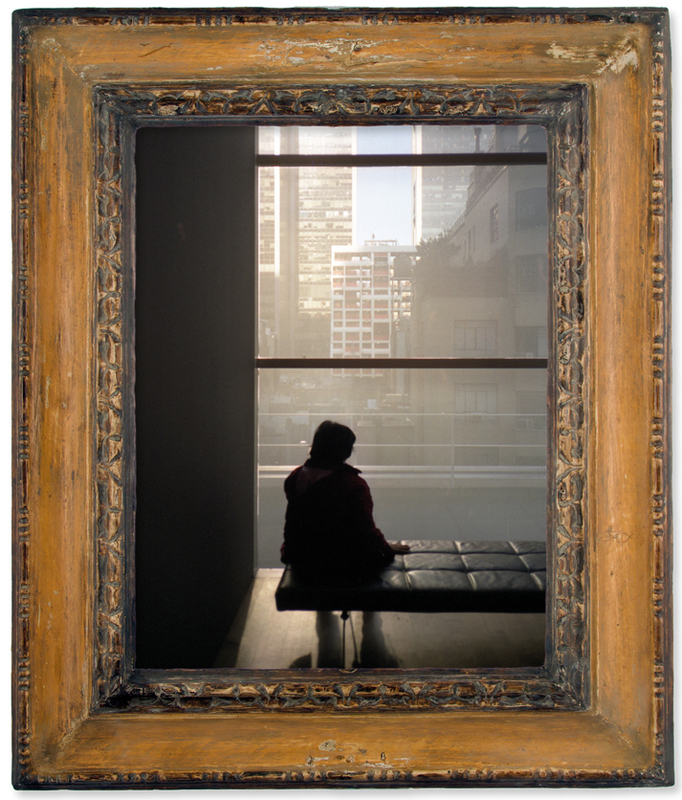 Which contemporary photograph was paired with which antique frame was decided by art history students of the Heinrich-Heine-University in Düsseldorf, as part of their MA course, ‘Contemporary photographs in antique frames’, supervised by Prof. Dr. Hans Körner. The students have created thrilling combinations, which test the cultural awareness of the visitor by creating exhibits in aesthetically problematic relationships. An associated catalogue has been published; for further information please contact F. G. Conzen GmbH. Thank you for commenting on it! 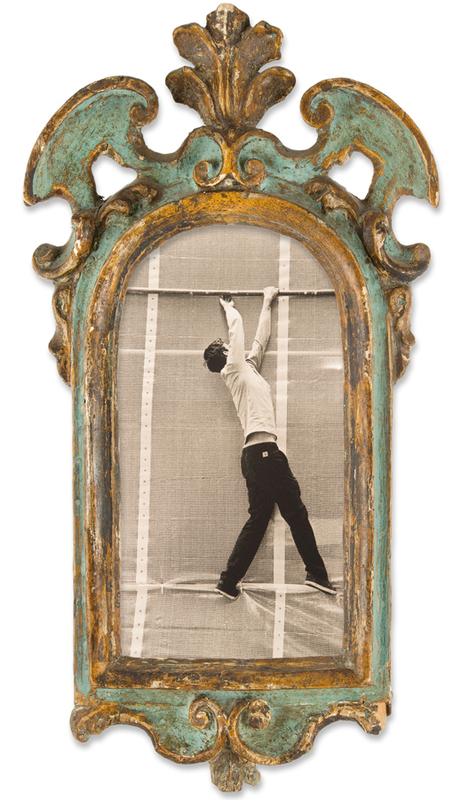 – and how nice to be in touch: would you, perhaps, like to write a post on Sandys’s frames for The Frame Blog? – it would be very popular with all the Pre-Raphaelite fans out there…?